I am an author, speaker and entrepreneur who specializes in helping people make the most of their minds. I founded the global mental health campaign, Mindapples, and advise businesses on wellbeing, innovation and performance through Mindapples, and my consultancy, Sociability. My clients come in all shapes and sizes, from big banks to small non-profits, and include Tesco, IABC, Bank of America, News, L'Oreal, the Nature Conservancy, Lend Lease, Accenture, the Wellcome Trust, Soho House, the NSPCC, Save the Children, Unicef and MSF. I’m also a former Trustee of the RSA. 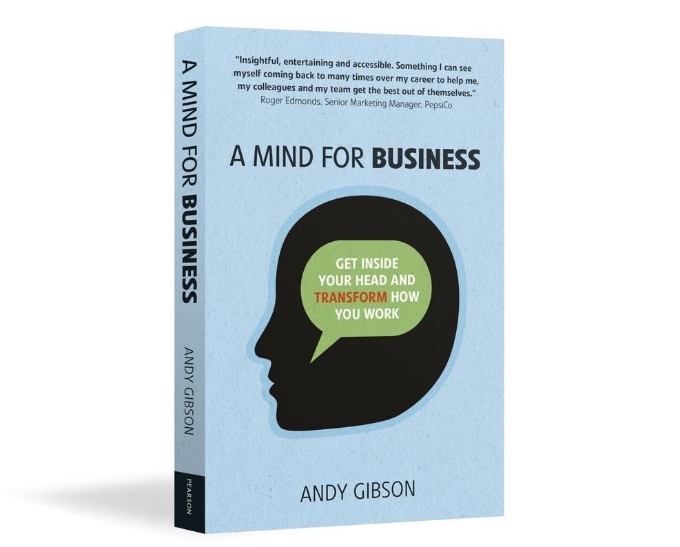 My previous book, A Mind for Business (Pearson, 2015), won Management Gold in the CMI's Management Book of the Year Awards. My new book, The Mind Manual (Octopus, 2018), is now available in the UK, USA and Canada. Show your mind some love and treat yourself to a copy today. Sign up with your email address to receive occasional updates about my work and writing. We respect your privacy. Your email address will only be used for relevant communications from Andy Gibson and Sociability Ltd, and will never be shared with third parties.